Open season on high-ranking corporate and governmental officials. Who is going to tell the CEO of a huge multi-national that they have been noticed for a deposition in a pending litigation? 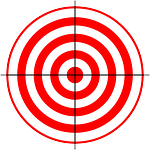 After all, high-ranking corporate and governmental officials, sometimes referred to as “apex witnesses,” have bright red bulls-eye targets on their backs. Plaintiffs think that if they can create enough of a nuisance they can force big companies to settle even if the merits of the case do not justify settlement. And how better to make a nuisance of yourself than to subject the CEO (an apex witness) himself/herself to the annoyance and hassle of a deposition? Then imagine how many similarly situated plaintiffs are out there arrayed against the multi-national, with the same mindset. Without protections from the courts, CEOs and other high-ranking corporate and governmental officials would be relegated to nothing more than full-time professional witnesses at the beck and call of anyone and everyone who can prepare and serve a formbook subpoena. What is an Apex Deposition? An “Apex Deposition” is one in which a party seeks to depose the highest level, or “apex” of the corporate opponent, whether that officer has personal knowledge of the matters at issue in the case or not. Jurisdictions across the country have come to recognize the undue risk and prejudice of Apex Depositions. In the Second Circuit Apex Depositions are disfavored unless the executive to be deposed has unique personal knowledge of facts relevant to the action. See, e.g., Alliance Industries, Inc. v. Longyear Holding, Inc., 2010 WL 4323071 at 4 (W.D.N.Y. March 10, 2010). It goes without saying that the potential for abuse exists with the mere noticing of any deposition. However, apex witnesses present special potential for abuse, harassment and attendant costs. The mere diversion of the Apex officer’s valuable time, talent, effort and energies to attend to the discovery request will likely cause disruption. This is particularly the case if the discovery request is a matter which can be addressed by lower echelon personnel, as is often the case. Because of the possibility of business disruption and the potential for harassment, courts in the Second Circuit give special scrutiny to requests to depose high-ranking corporate and governmental officials (“apex witnesses”). Id; see also Chevron Corp. v. Donzinger, 2013 WL 1896932 (S.D.N.Y. May 7, 2013). Under Rule 26(c), district courts have power to protect against abuses in discovery. Seattle Times Co. v. Rhinehart, 467 U.S. 20, 34, 104 S.Ct. 2199, 81 L.Ed.2d 17 (1984). The appropriateness of a protective order is a balance of the litigation needs of the requesting party and the protectable interests of the party from whom discovery is sought. Mitchell v. Fishbein, 227 F.R.D. 239, 245 (S.D.N.Y. 2005). “Because of the liberality of pretrial discovery permitted by Rule 26(b)(1), it is necessary for the trial court to have the authority to issue protective orders conferred by Rule 26(c).” Seattle Times Co. v. Rhinehart, 467 U.S. 20, 34, 104 S.Ct. 2199, 81 L.Ed.2d 17 (1984). The Second Circuit has made clear that “ ‘[t]he grant and nature of protection is singularly within the discretion of the district court.’ ” Dove v. Atl. Capital Corp., 963 F.2d 15, 19 (2d Cir.1992) (quoting Galella v. Onassis, 487 F.2d 986, 997 (2d Cir.1973)); see also Seattle Times, 467 U.S. at 36, 104 S.Ct. 2199 (the trial court has “broad discretion” under Rule 26(c) because “[t]he trial court is in the best position to weigh fairly the competing needs and interests of parties affected by discovery”) (footnote omitted). Put simply, district courts have broad discretion in issuing such a protective order. The advisory committee notes provide further support for an Apex Deposition Rule. Specifically, they provide that: “the spirit of the rules is violated when advocates attempt to use discovery tools as tactical weapons rather than to expose the facts and illuminate the issues by overuse of discovery.” Fed. R. Civ. P. 26 Advisory Committee Notes (1983). This does not mean that senior executives are immune from discovery. However, district courts in the Second Circuit have recognized an additional layer of protection for senior corporate executives subject to depositions. Guzman v. News Corp., No. 09 Civ. 9323, 2012 WL 2511436, at *1 (S.D.N.Y. June 29, 2012) (alteration in original) (quoting Alex & Ani, Inc. v. MOA International Corp., 10 Civ. 4590, 2011 WL 6413612 (S.D.N.Y. Dec. 21, 2011)); see also Chevron Corp. v. Donzinger, supra, at *1 (noting that senior executives are not exempt from deposition except in compelling circumstances). So, Who Has The Burden of Proof? There is a split of authorityas to which side bears the burden of proof. That being said, courts consider whether the proposed deponent has personal and unique knowledge of the relevant facts. Compare Burns v. Bank of America, 03 Civ. 1685, 2007 WL 1589437, at *3 (S.D.N.Y. June 4, 2007) (“Unless it can be demonstrated that a corporate official has some unique knowledge of the issues in the case, it may be appropriate to preclude a deposition of a highly-placed executive while allowing other witnesses with the same knowledge to be questioned.” (internal quotation marks and brackets omitted)) with Malletier v. Doonev, 04 Civ. 5316, 2006 WL 3476735, at *12 (S.D.N.Y. Nov. 30, 2006) (“[I]f a party seeks to depose a very senior official of an adversary entity, the adversary may obtain an order vacating the deposition notice if it can demonstrate that the proposed deponent has no personal knowledge of the relevant facts and no unique knowledge of those facts”); cf. Fermin v. Rite Aid of New York, No. 11 Civ. 12, 2012 WL 364035, at 2 n. 1 (S.D.N.Y. Feb. 3, 2012) (noting inconsistency in the SDNY as to which side bears the burden of proving unique knowledge and finding the more correct approach is allocating burden on the party resisting deposition). New York courts have, in their own way, also recognized an additional layer of protection for senior corporate executives. Under New York law “[i]t is well established that a corporation has the right in the first instance to determine which of its representatives will appear for an examination before trial.” Barone v. Great Atl & Pac. Tea Co., 260 A.D.2d 417-18 (2nd Dep’t 1999) (Court affirmed the denial of a motion to compel depositions, based upon the defendant’s production of “two knowledgeable witnesses who testified with respect to the underlying incident,” and the plaintiff’s failure “to show that those witnesses had insufficient knowledge or were otherwise inadequate, and that the proposed witnesses possessed information which was material and necessary to the prosecution of the case); see also Defina v. Brooklyn Union Gas Co., 217 A.D.2d 681, 682 (2d Dep’t 1995) (“party seeking to depose additional witnesses must make a detailed showing of the necessity for taking further depositions”); Arendt v. General Elec. Co., 270 A.D.2d 622, 622-23 (3d Dep’t 2000)(trial court’s denial of plaintiff’s motion to depose defendant’s chief executive officer affirmed, where record revealed managers of defendant were already produced for deposition, plaintiffs failed to establish that these managers lacked sufficient knowledge of the facts to produce “material and necessary” evidence and that “chief executive officer actually possessed necessary and relevant information germane to their lawsuit such that he too should be produced”). Unless the apex witness possesses unique knowledge of relevant facts not known to witnesses who were deposed or will be deposed, it is unlikely that the apex witness’s deposition will be compelled in the Second Circuit. So, parties contemplating compelling or resisting an Apex Deposition in the Second Circuit need to be prepared to prove that the apex witness possesses or lacks, depending on their position, unique knowledge of relevant facts not known to other witnesses.